A Special Unit created under PMO comprising of 26 operatives recruited from various departments including the RAW were posted in various RBI offices around India and headed by Amit Shah to oversee and co-ordinate the 3 lakh crore fake currency (printed abroad and brought to India in Air Force Transport planes at Hindon Air Force base) exchange operation, alleged Congress in a press conference today. 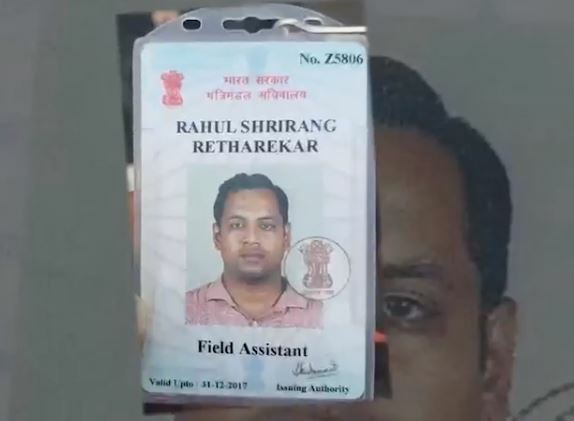 The tapes show a person by the name of Rahul Shrirang Retharekar, who is believed to be Research and Analysis Wing (RAW) field operative – from the Special Unit of 26 (22 men and 4 women). Below are excerpts from the various tapes from the presentation displayed at the press conference. Rahul explains to the Reporter ‘KARAN’ the procedure of doing currency exchange work. He assures that there will be no operational problem. He also shows his cabinet secretariat ID crad. 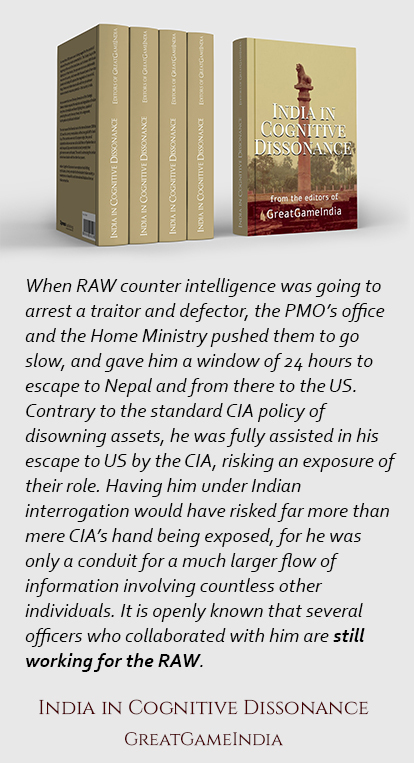 Mrs & Mr Rahul Retharekar over dinner in a suite of Trident gives his detailed RAW background – How the corrupt system doesn’t allow anyone to remain a true patriot for very long. He told that 3 series of 1 lac cr. each have been printed in duplicate. He explains in detail how the duplicate currency notes which were printed abroad were brought to India in Air Force Transport planes at Hindon Air Force base. Rahul Retharekar also explains the detailed logistics of currency exchange operation and how it is being controlled from the very top – twice mentions Mr. Amit Shah. He tells in detail how the exchange transaction percentages have increased from 15% initially to now 35-40%. Also that a fixed percentage has to be remitted regularly up the chain – which is headed at the top by Mr. Amit Shah. He said there is a separate dept. in PMO overseeing this work. This dept. is headed by Mr. Nipun Sharan (codename). He explains how 26 people have been recruited from various dept. specifically to oversee and co-ordinate with RBI for currency exchange work only. Mrs & Mr Rahul Retharekar over dinner in a suite of Trident explaining the detailed logistics of currency exchange operation and how it is being controlled from the very top. They have been posted in various RBI offices to oversee, control and report currency transactions to their head in PMO/Amit Shah. He also confirms that while their transactions are going on, no local police/crime branch/vigilance dept. etc. interferes. In case any dept. official interferes, a call from the bosses in Delhi will result in the officials leaving the place. Rahul brags that he has been one of the best performing field supervisors for currency exchange. He says he has already completed more than 20,000 cr. worth of private transactions from CBD Belapur RBI in his short stint. Rahul Retharekar also explains how Reliance Jio database has been used and misused again and again to show repetitive currency exchange transactions in RBI. He states that anyone who tries to disclose this information or bring them out in the open will be finished off ruthlessly. Rahul also confirms that the new currency with Urjit Patel signatures was actually printed about six months earlier than November. They had started exchanging the currency of selected politicians and big business houses beforehand. Rahul also shares his experience of working in the RAW. 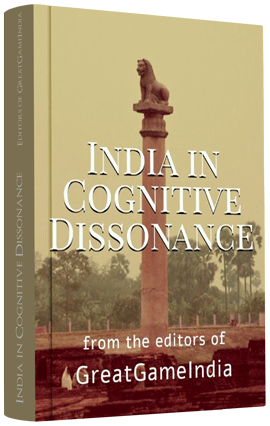 Excerpt from GreatGameIndia‘s exclusive book India in Cognitive Dissonance. Get your copy from here. While the finer details of this alleged scam could only be known after investigation, it has been confirmed to GreatGameIndia by ex-RAW officer R K Yadav that the person in the video is indeed the RAW operator Retharekar and that he was raided by the CBI and after found guilty was dismissed by RAW after Demonetization. The expose is based on the numerous hours of sting footage, which has been published at TNN World. The Congress press conference can be viewed here. We would like to remind our readers that within a week of the announcement of Demonetization on 8th November 2016, GreatGameIndia exposed how our currency notes were being printed by banned and blacklisted British crown firm DeLaRue in our controversial piece – The Secret World Of Indian Currency Printers. Because of this firm’s involvement with Pakistan and the Fake Indian Currency Network (FICN) it was banned and blacklisted. The firms CEO Roberto Giori was one of the most VVIP passenger in the hijacked Indian Airlines Flight 814. It is believed that a ransom was paid by the then Indian Government for the safe release of Roberto Giori; the negotiation of which was carried out by a team headed by current National Security Advisor Ajit Doval. The hostage crisis lasted for seven days and ended after India agreed to release three militants – Mushtaq Ahmed Zargar, Ahmed Omar Saeed Sheikh and Maulana Masood Azhar. Just a year after his release, Masood Azhar founded Jaish-e-Muhammad. A year later carried our an attack on Jammu and Kashmir legislative assembly as well as the Indian parliament itself. He is also believed to be the mastermind of Pathankot attack and Uri attack; and most recently the Pulwama attack. When we published the story everyone from RBI to Finance Ministry denied having any such involvement with DeLaRue. GreatGameIndia itself received a notice from the advisory firm Brunswick on behalf of De La Rue regarding the story. De La Rue’s notice and the official GreatGameIndia response can be read here. As a direct impact of GreatGameIndia reporting the Government Security Paper Mill (SPM) in Hoshangabad, Madhya Pradesh, has filed a recovery suit of Rs 11 crore against UK-headquartered banknote manufacture De La Rue for allegedly supplying substandard paper for printing currency notes. Through RTI we found that still De La Rue is involved in the printing of Indian currency notes. Still the questions that nobody has raised yet and that needs to be answered are these. How could a blacklisted and banned British company be given the sensitive job of printing our currency notes? Is De La Rue still blacklisted or not? If yes, than who lifted the ban? If no, than why is it involved in printing our notes still?